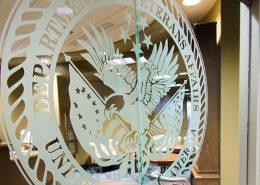 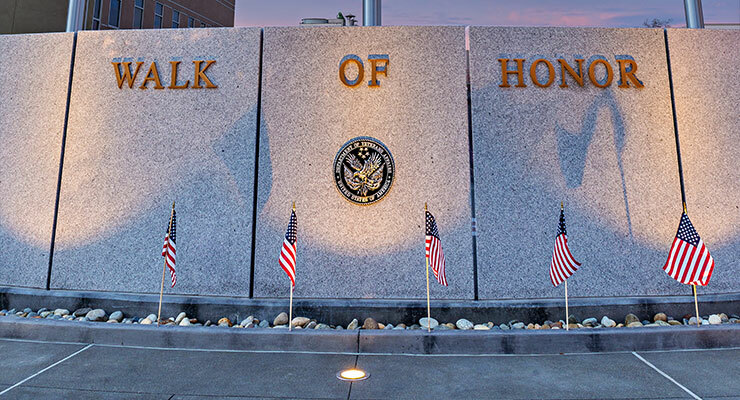 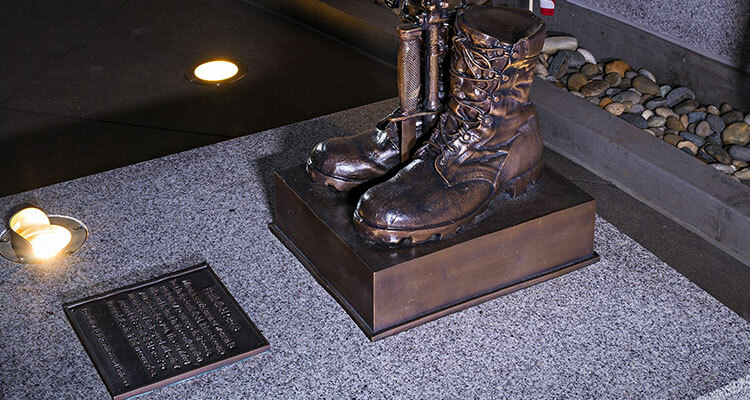 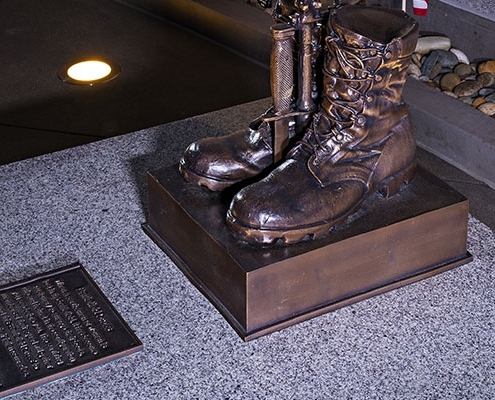 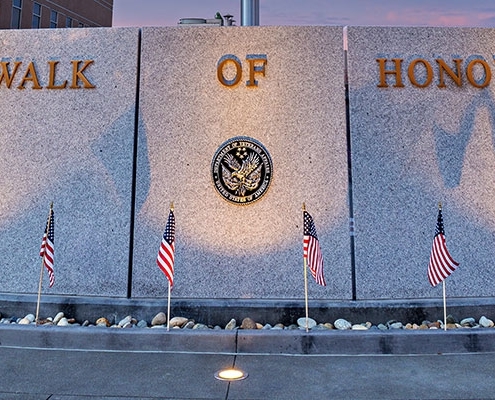 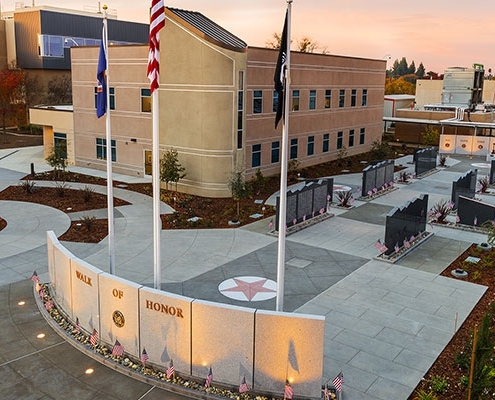 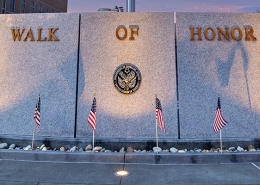 When an existing wall of honor had to be moved for the hospital expansion, this new plaza was built to offer veterans and their families a place of remembrance and pride. 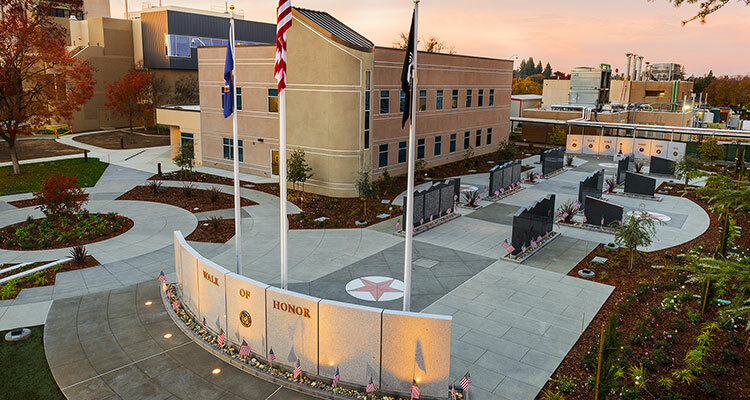 The granite walls were sourced from a Sierra quarry thirty miles away, and their top mimics the Sierra Nevada while the cobbles at the base represents the streams coming down from the mountains. 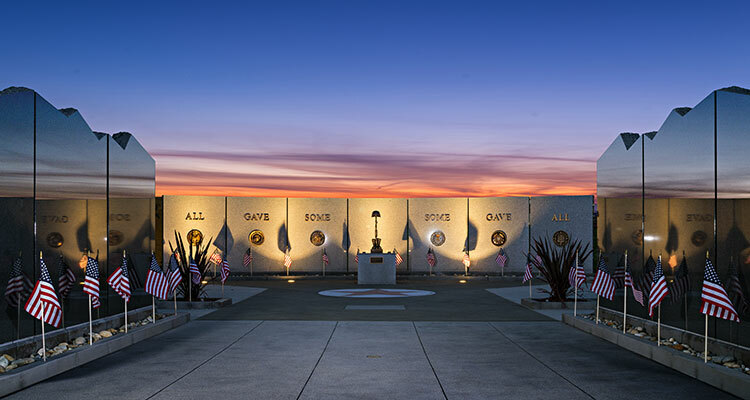 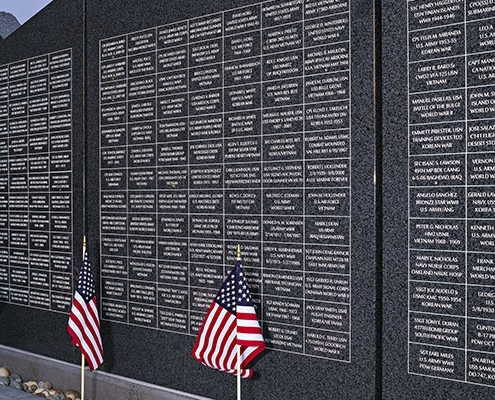 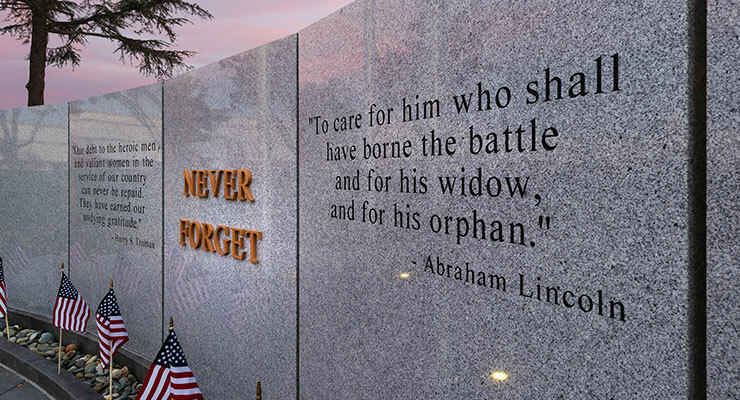 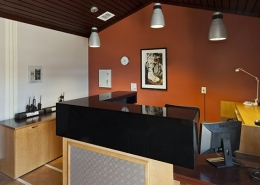 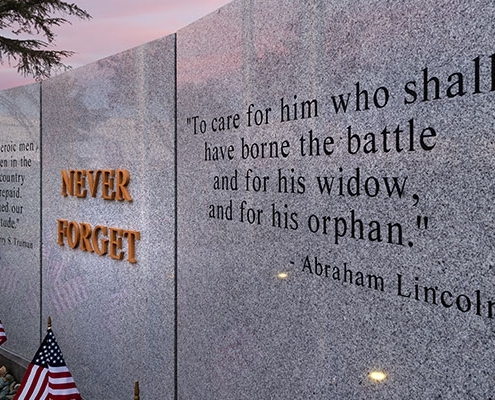 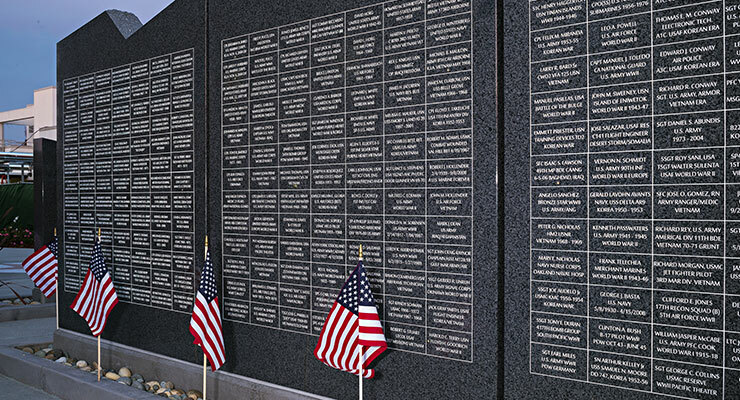 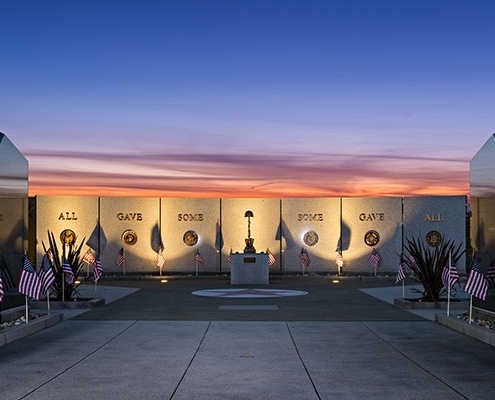 Engravings of quotes and the veterans’ names on the granite walls inspire visitors to reflect on the sacrifices made by the military, with blank spaces and hidden footings for future walls allowing the space to grow with history.